The Pennsylvania State Police Vice Unit seized methamphetamine, money and drug related paraphernalia from a Hallstead Borough apartment last week. A search warrant was executed Friday, Feb. 1, at about 2 p.m., at the Main Street apartment of Bradford Page. 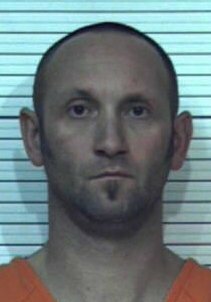 Page, age 40, was arrested on a felony count of manufacture, delivery or possession of a controlled substance with intention to manufacture or deliver. He was arraigned by Magisterial District Judge Jeffrey Hollister on Friday. Bail in the matter was set at $50,000 which was posted Monday, Feb. 4, by a professional bondsman. He is scheduled to appear in front of Magisterial District Judge Jodi Cordner in New Milford District Court on Monday, Feb. 11 for a preliminary hearing. According to a release issued by police, the PSP Vice Unit, South Abington Police Department and Lackawanna County Drug Task Force have been working jointly in a methamphetamine investigation involving sales happening between Lackawanna and Susquehanna counties. Through the investigation, police determined Page was dealing large amounts of methamphetamine in both areas. In an interview with police, Page admitted that he had been selling methamphetamine for about one year. Police seized $1,817 in US Currency bundled into folds, “which is a common way for drug dealers to keep their money,” according to the affidavit filed in New Milford District Court. Officers also found a ledger containing initials and dollar amounts totaling $22,965. A plastic baggie containing methamphetamine was discovered next to the money, as well as on a piece of paper. Seven small baggies of meth packaged for sale, and loose methamphetamine on a plate next to the packaging material was also seized. In addition to the methamphetamine and money, police seized a baggie containing miscellaneous prescription drugs, marijuana, a cellphone and Ipad, digital scale, and a marijuana grinder and smoking pipe. The narcotics will be sent to the PSP lab for further testing, weighting and identification, according to the affidavit. Be the first to comment on "Joint police effort leads to meth seizure, arrest"